The Code 93 Barcode symbology is an alphanumeric, variable length symbology, designed by Intermec to improve upon Code 39. Providing a higher density and data security enhancement than Code 39, the Code 93 barcode is capable of encoding 47 characters (compared to the 43 of Code 39) and is also capable of representing all 128 ASCII characters. The Code 93 barcode is more secure than the Code 39 symbology as it requires two check characters which are referred to as “C” and “K”. Code 93 is a continuous, variable-length symbology. Code 93 barcodes can be generated through barcode label software which will also allow you to produce a design for your labels. Barcode software is typically available in basic, professional and networked versions; limited software is often supplied with the printer which will allow basic designs to be created. If you are creating your Code 93 barcodes from a database then you will need professional barcode software. 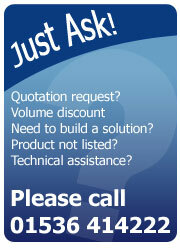 For more information please e-mail support@amlabels.co.uk or call us on 01536 414222. For related products including barcode scanners browse our online shop.